Whiplash: Can We Predict Long-Term Problems? There are many factors in play with regards to how quickly one recovers from any injury: the type and degree of injury, the type of care, the “will” to get better, the patient’s education level, gender, emotional factors, and so much more. But what does the research say regarding risk factors for a prolonged recovery from WAD? 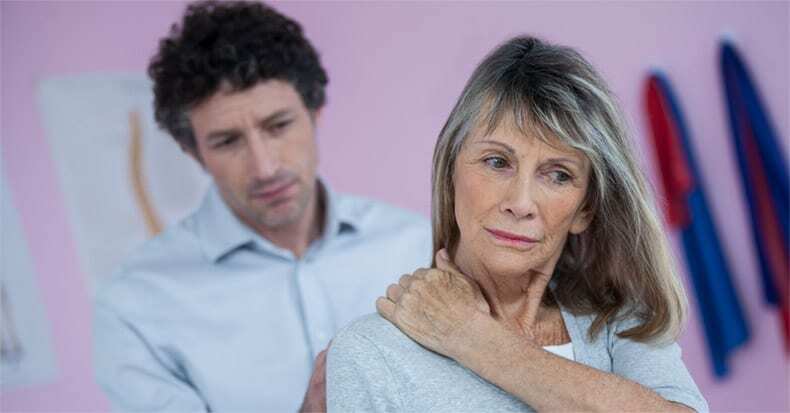 A Danish study found that WAD patients with immediate, high-intensity neck pain and stiffness were more likely to be disabled one year following their injury than those with a delayed onset of symptoms or those with low-grade pain. By combining scores for neck pain and stiffness along with other non-painful symptoms (such as blurred vision, nausea, and dizziness), the authors found that they could identify those at risk for long-term disability within a week of their accident. Their study included 141 adults who contacted the ER within two days of the MVC complaining of neck pain or headaches arising from rear-end collisions without loss of consciousness or amnesia. None had prior neck or back pain or a history of severe headaches. The researchers found that 75% of patients with reduced neck motion still reported disability after one year. Interestingly, the research team observed that patients involved in ongoing litigation (lawsuits) were at no greater or lesser risk of suffering long-term disability. In a recent large-scale study using an online survey completed by 127,959 respondents, researchers found that collision severity, poor expectations of recovery, victim mentality, dizziness, numbness or pain in the arms, and lower back pain each increased the risk of a poor recovery.